In the late 1830s, Charlotte Atkinson lives in a grand estate in the bush with her mother and siblings. After the death of her father, everything in Charlotte’s life seems to start unravelling. The safety of her family is threatened by murderous convicts, marauding bushrangers and a cruel new stepfather. Fleeing for their lives, the safety of Charlotte’s family is threatened further by the rigid social expectations of the time, considering her mother unfit to raise her children because she deserted her husband. With no income and a constant threat of separation by the authorities, who want to send the children off to state-run boarding schools, will Charlotte and her family ever be able to return to their beautiful home? Based on the incredible true-life experiences of author Belinda Murrell’s own ancestors, The River Charm is a wonderfully engaging historical fiction novel. The story begins slowly with the modern setting fading into to the story of the Atkinson family, as Aunt Jessamine shares the experiences of Charlotte and her family with young Millie. Readers are quickly drawn in to the dramas of Charlotte Atkinson's life, however, as her story unfolds. 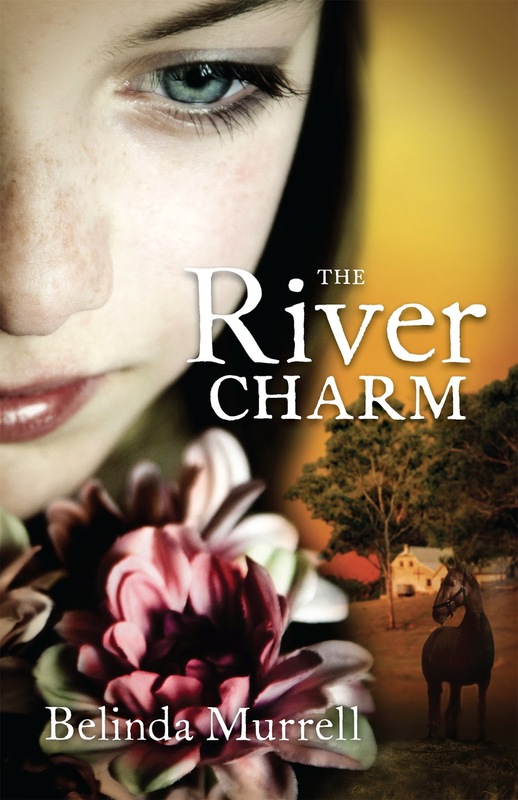 The River Charm captures the simplicity, beauty and incredible hardship of life in Australia in the mid 1800s. I loved the descriptions of family life – meals, schooling, clothing and everyday activities on the Oldbury estate, in the bush hideaway and in the small home in Double Bay. As the story of the Atkinson family unfolds, modern readers will be amazed at the contrasts between family and social expectations then and now, particularly the attitude towards the education and responsibilities of women. Based strongly on the documented evidence of the lives of Charlotte Atkinson and her family, including Charlotte Atkinson’s mother, the first published author for children in Australia, The River Charm captures a moment in Australian history. Young readers will be drawn in to the adventure and excitement of Charlotte’s story, and along the way will learn about the joys and challenges of Australian life over 150 years ago. The River Charm is the latest of several middle fiction historical novels by Belinda Murrell including The Forgotten Pearl (KBR review here) and The Ivory Rose. I found the story fascinating, even though I am far beyond the target age range. I love the way Belinda makes history come alive by weaving factual settings and events into such engaging and lively stories. The River Charm (and Belinda’s other middle fiction historical novels) are sure to appeal to readers aged 10 – 14, particularly girls with an interest in history. They are a great choice for advanced younger readers too, with interesting characters, an exciting plot and enough historical references to spark some further research in those so inclined.